I’ve simplified this seemly fancy schmancy dish for the week night. But really, it’s just plain simple from the outset. Start by patting the salmon dry. Then season with salt and pepper, spread each piece with Dijon mustard and, sprinkle with thyme. Sprinkle your counter with flour; use enough so the dough does not stick. 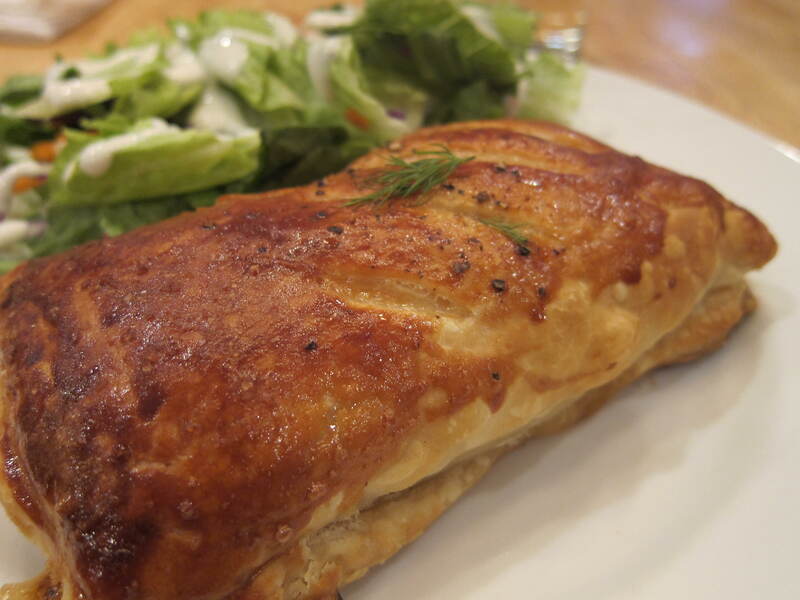 Gently unfold the puff pastry and sprinkle with flour. Roll out the dough so that it is about 2-3 inches wider and longer. 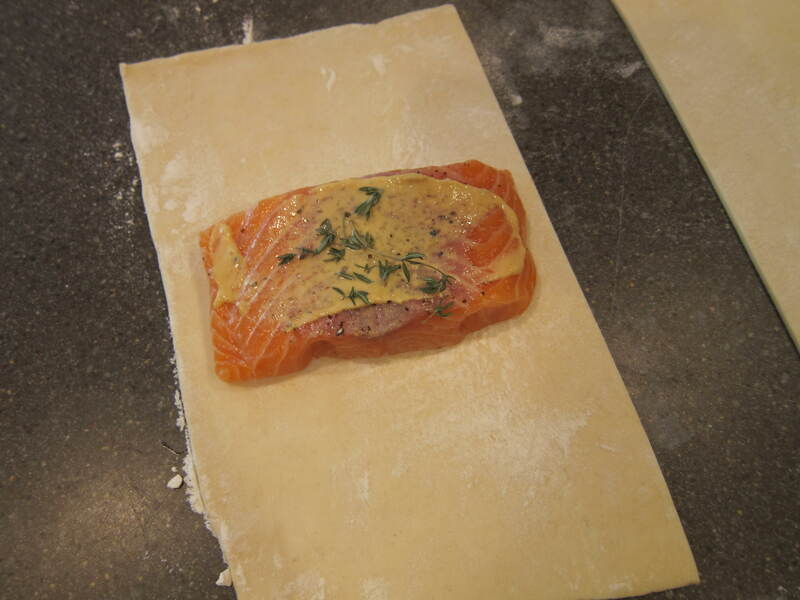 Cut the dough in half, brush with the egg wash.
Place the salmon in the middle of the dough then, wrap the long sides around the salmon. 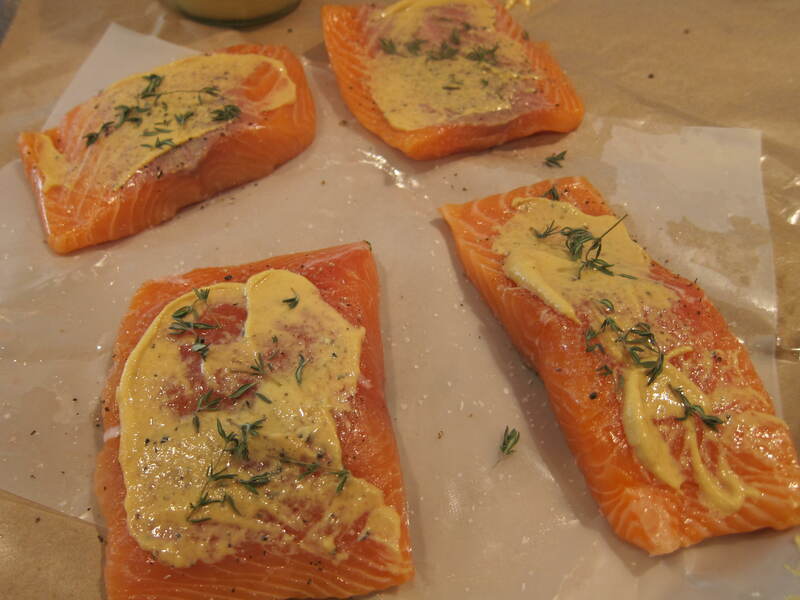 Turn your little salmon packages over and slit the top several times to allow steam to escape. Crimp the open sides closed with a fork. Use the rest of the egg wash on the tops of the pastry. 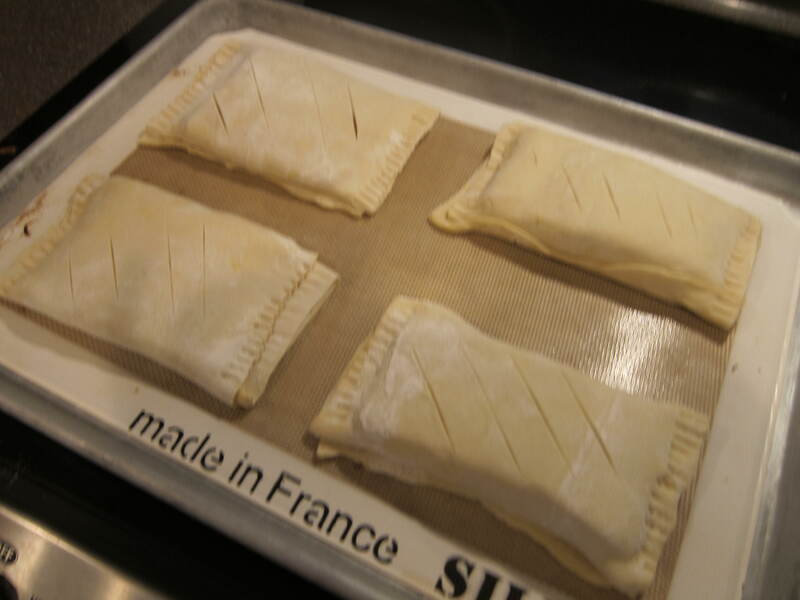 Place your little “en croute” on a parchment or Silpat lined baking sheet. 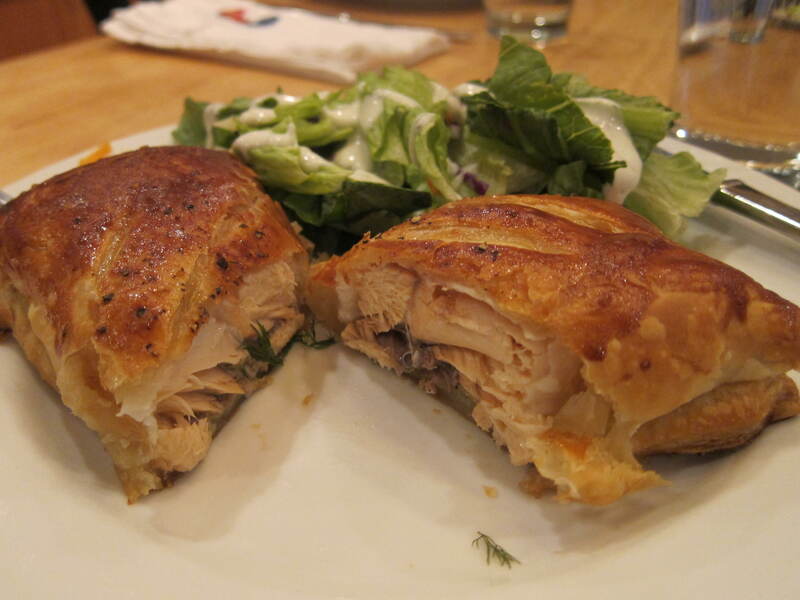 Bake for 20-25 minutes or until your puff pastry is golden brown.